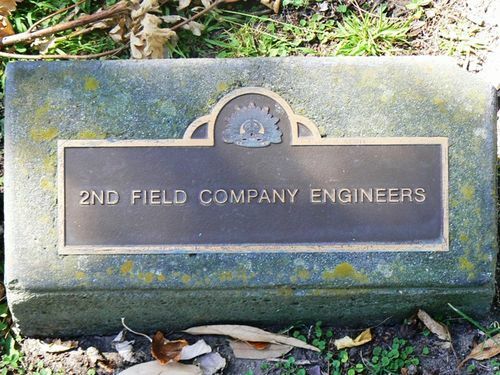 A tree commemorate those who served with the 2nd Field Company Engineers, 2nd Brigade (Vic), 1st Division, AIF. The tree was planted in 1934 and was No. 96 in the ballot.